You might need a long memory to recall Audioquest: the company's cables have been seen before on these shores, but over the last couple of years there has been no UK distributor for the US-based brand. Happily that has now changed and we can welcome the extensive range back again. 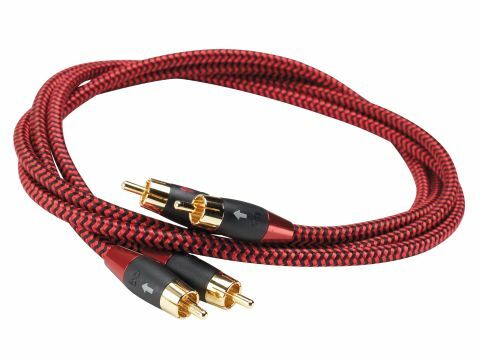 The Multi-Room Company sent us a handful of cables to look at and we're starting here with a modestly-priced interconnect that is a popular model in the United States. Looking rather like the mains lead on a old smoothing iron with its braided fibre exterior, Sidewinder is a simple enough pseudo-balanced cable with 'Long Grain Copper' stranded conductors and PVC insulation, the whole amounting to a 7mm-diameter cable that's flexible enough to manage tight corners. Good quality, albeit basic, phono plugs are also fitted. Expectations of what a £50-ish interconnect should achieve are high these days, and Sidewinder did not disappoint. It has a very nearly neutral tonal balance with, we felt, just a slight lift in the upper bass, which is pleasant enough unless you have speakers that are already keen on that region. Deep bass is well controlled but certainly not constricted, while treble is a shade shy in the very highest reaches, slightly reducing the ambience on good acoustic recordings. Stereo imaging is broad and has pretty good depth. Best of all, though, is a real sense of rhythmic 'snap', which we suspect will help this cable sell quickly in shop demonstrations!